It was one of those days when the toddler was being a toddler and the infant was not sleeping, and there was too much yelling and frustration on all sides. As I lugged the two-year-old up to his bed for a nap, I babbled on about needing to be kind to his baby brother, Nathan, so he learns to be kind in return (a follow-up to my “Don’t ever throw books at your brother!” eruption a few minutes earlier). JJ argued with me that he really needed to get back down and eat his sandwich (he’d already eaten it) and then fix the cars and draw. “Are you listening to me, bud?” I asked. “Ahh, nooo,” he sang. At least he was honest. I checked on Nathan in the nursery as JJ ran laps around the second story of our house, yelling down the stairway to our hound dog, “You can’t catch me, Zo-dy!” I wound up the baby’s mobile as tightly as possible and whispered softly, “I’ll be right back, bud. I just need to get your brother down for his nap.” He spit out his pacifier. I gave it back. He sucked on it twice, spit it back out, and smiled. I groaned. If he wasn’t going to keep the pacifier in, I was in for a noisy nap time routine with the toddler. Eager to get back to the nursery, where the baby had been fussing for too many rhyming tongue twisters already, I also wanted to fight this impulse to attend to the baby at the expense of the toddler. Will I ever learn to meet the needs of both my kids? Everyone else knows what they're doing. I took another deep breath and told myself the baby would be okay for a few minutes. I settled in and read all the rhymes as JJ squirmed and shouted out his favorite words. Just before I shut the door after finishing our routine, he cried “Mommy, wait!” I opened it again, exasperated and fully prepared to deflect one of his stalling tactics. “Mommy, Mommy!” He paused, wiggling and doing his best to stay seated under the enormous Batman blanket as he searched for the right word. “Mama, sings?” He blinked, twisted his monkey lovie between his fingers and waited for my answer. My heart exploded. My baby asked me to sing to him. In seventh grade, I tried out for the school choir. I confidently, enthusiastically prepared my audition piece: “Rudolph the Red-Nosed Reindeer.” I crouched in my parent’s living room, held my Walkman up to the stereo speaker and played our holiday CD until my finger cramped from holding the record button down. I sang that song in the shower, as I walked to the bus stop, and as I did my chores. I listened to it in between classes and on the bus ride home. I had no doubt about my ability to rock it. The judges were going to listen to me, marvel in my excellence, and wish they’d had me in the group the previous year, too. On my assigned tryout night, my mom drove me to school and I rested my voice, carrying half of the conversation in nods and hand gestures. When the choir teacher called my name, I walked onto the stage, into the spotlight, and froze. I faced the unending auditorium of judgment from an unfamiliar vantage point. Wait a minute! The people up here always know what they’re doing! What am I doing here? I belong down there! The music began playing. I tried closing my eyes and picturing myself at home in my room. I imagined I was spread across my bed, letting my head hang off the edge just a little, my feet up on the wall. I took a breath and began singing, pretending to stare a hole into my blue suede Candies. All I remember about the actual performance is that I made the questionable choice to add an echo. I tried to be my own backup singer, tripping over myself the entire time. “Rudolph the red-nosed reindee-nosed-reindeer.” Someone really should have stopped me. I vaguely remember attending a meeting in the music room a few days later, when the first round of qualifiers would be announced. I remembered the ridiculous echo I’d sung, in an awkward falsetto, no less, and shame coursed through my veins. I can’t let my friends learn how bad I am at this, I thought. Everyone else knows what they’re doing. I don’t belong here. I bailed before the director was a minute into her introductory remarks. I never sang in public again. One night, early in my firstborn’s life, I stood over his teeny body at the changing table, bleary eyed and swaying on legs that begged for rest. I suddenly realized I hadn’t been interacting with him. He grinned at me and wiggled in excitement and all I could think about was going back to sleep. Shame burned through me as I confronted the drastic difference between the mother I am and the mother I imagined I’d be. Everyone else knows what they're doing. I don't belong here. I can’t let anyone know how bad I am at this. My son was my only audience and I swore I would always show up for him. So I took a deep breath and sang. I made up two songs for my little guy: one I sang before putting him down to sleep every time after that night and another one I sang during the day as I soothed him. In those moments so charged with inadequacy, I reached back to my childhood and clung to a practice that had once given me confidence. They are silly, nonsensical songs, containing lyrics that spilled out of me when I turned to words to find a way to connect with my babe. When I was back to work and bedtime felt like the only quality time I had with him, I sang his lullaby three or four times over, dragging out my goodnight, wishing I could stretch the evening hours just a little bit longer. I whispered the words in desperation through the long nights he had croup. I sang breathlessly as I raced to the emergency room after he fell off a chair--at each red light, I twisted in my seat and shook him awake as my voice broke and my fear grew. In times when emotions ran high, the sound of my voice sometimes calmed him, but perhaps more importantly, the act of singing calmed me. It hadn’t occurred to me JJ would one day have an opinion about these songs. Or that one day so soon he would be the one hoping to drag out the bedtime routine. That afternoon, I snuggled back into bed with him and sang my song, off-key as ever and shakier than usual. I haven’t regained the confidence of that twelve-year-old dancing in her bedroom and dreaming of the school choir, but I no longer care who knows that I can’t carry a tune. Motherhood drug me back up to the stage and left me there. Nat and Lis pulled into the shopping center parking lot. Beside the salon sat a brick oven pizzeria, the state store that always carried the Spanish wine Lis discovered in college, and a second-hand kid's clothing store. Lis inhaled deeply. "Man, I need some of that pizza. Grab dinner after we're done tonight?" "Oh absolutely," Nat grinned. "My first outing as the new me." Lis rolled her eyes exaggeratedly and the girls continued into the salon. When they emerged a few hours later, Lis looked much the same. It was an inch or two shorter, but her hair possessed the same golden hue as earlier in the day. Nat, however, was transformed in exactly the manner she'd hoped. She couldn't keep her hands out of her hair. It now fell just below her collar bone, in a blunt cut that suited her perfectly. The chestnut color caught the fading sunlight as she twirled and flipped her strands. "What do you think?" Nat asked Lisa, beaming. "Eh, it's alright," she joked. "I'm glad you like it though." Nat tossed the pen she'd been holding at her friend. "Seriously. Is it too drastic?" "No way. It is the exact appropriate amount of drastic change. You still look like you, don't worry." "Good. I was going for drastic, you know." "Yep, and mission accomplished." Lis tipped an imaginary hat to her friend. "Now. Let's get some of that pizza. Please." Nat stood in line for the girls' dinner order while Lis grabbed a table and their drinks. She watched her reflection in the glass of the counter display, turning slightly now and then, in order to see her hair from different angles. "No way, is that Lisa Wentworth?" A voice broke into her reverie from behind. It was Ben, an old friend from college she hadn't seen in years. "Ben! Ohmygosh," she breathed, "how are you!?" "Oh, I'm good. You know, the usual. I'm just in town for the weekend, my brother is getting married. Ick." Nat laughed. "Not in the wedding spirit these days?" Ben gagged. "Is anyone ever in the wedding spirit? I swear, even my brother and his fiancé wish they were just eloping and bypassing all this nonsense. Or, you know, common law marriages are great, I hear. "Back to the important things. You know Lisa Wentworth? How'd that happen?" "Yep." Nat replied. She sometimes forgot that her best friend's reporting career made her a bit of a local celebrity. She thought it was sweet that she'd stumbled upon a fan. "Want to join us for dinner?" Ben's grin widened. "Yeah, I do." "Alright then. Meet me over there when your food is up, and I'll introduce you." Nat twirled on her heel, pizza and fries in hand, and made her way back to the booth. Lis sat flipping through a magazine. She looked up as Nat approached. "What? Why are you grinning like a five-year-old on an Easter egg hunt?" "I just ran into an old friend." Nat paused. "He's an admirer." "Umm did you tell him you're taken? Man, I need to tell Bill to get on with it already, you look a heck of a lot more available than you really are. At least I think that's the case." Lis squinted at Nat. "But maybe not. Maybe you're the one who needs to have a chat with our dear pal, Bill." "Oh come on now, Lis," Nat laughed. "This old friend is an admirer of yours. It seems you've wittily worked your way into his favor. I invited him to eat with us." "Lis. He's a looker and he's a lot of fun. Just trust me on this." "Famous last words, hmm?" Lis smiled. Read the first installment of this story here. This week, practice turning your story on its head. You thought the action was going on one direction, but then WHAM. Something happened and now everything is derailed. Do you fight to get back on course? Or go with the flow? Was the U-turn always in the cards anyway? If you typically just follow along where your story is taking you, take a step back. For curiosity's sake, what happens when you try to disrupt the action? Are you led back to the same spot, regardless of your efforts to change things? You may end up backed into a corner with no way out. Don't sweat it. Just toss out those pages and get back to business as usual. The result of this practice may be contrived and awkward. That's okay. The only way to know something is a poor fit is to try it out. 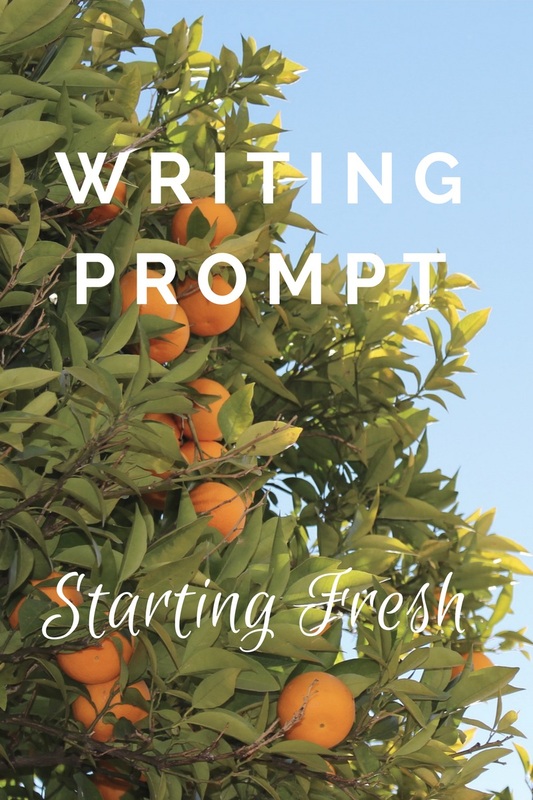 If this prompt isn't providing much inspiration today, check out my other prompts here. I picked Nat up for our hair appointments early. I wanted to give her time to fuss and complain in front of Bill so he’d believe that this trip really was my idea (not entirely a lie) and that Nat had little interest in going (definitely a lie). I know she’ll explain the whole situation to him after the important moment, so in case you’re thinking that it is not very responsible of me to encourage my best friend to lie to the man she wants to marry, just remember: This one doesn’t count. This is completely in the category of white lies, like the one he told her about next weekend, when I am coming over to help them clean out all their closets. Because that is what every young, goofily-in-love couple wants to spend their Saturday afternoons doing. Not barbecuing...or house hunting. I pulled into their apartment complex and parked in a numbered spot, as usual, since I do not share Nat's paranoia about the parking lot tow truck. Nat and Bill live on the third floor of the building, and because the back door leads right to the stairs, they never take the elevator. Nat once slid a tailgating tent down the stairs rather than drag it down the hallway to the elevator. She distrusts the elevator--apparently it sounds as though it's being lifted by rubber bands that have reached their point of maximum stretch. The building is quite pretty from the front, with green grass and a nicely landscaped walkway, but its really only on walking trips back from the grocery store that they ever see this nice space. The back of the building features a beat-up dumpster and a spectacular view of the next-door law office's dumpster and crumbling parking lot. To be honest, the stairways and hallways inside aren't much to look at either. Although the decorative crown molding shows that the building was constructed with care, it is really showing its age. The hallway carpeting, once a regal red, has a two-foot-wide black smudge running down the center, where years of tenants have trudged through with muddy shoes and dragged their leaky trash bags down the hall to the chute. Each door on the floor has elegant silver apartment numbers, but the doors themselves need repainting. The building would look drastically different with just a small makeover. Nat and Bill's apartment is at the end of the hallway, across from the home of another couple who none of us have seen more than once. We're not sure if this is because they spend all their time indoors, or because they are actually never home. As I walked around the corner to their place, I noticed that the eviction notice and police calling cards are gone from apartment 306. Things like this spark my inner snoop: I really want to know whether that means the tenants have returned, or if new people are living there and the landlord gave up hope of ever getting his rent money from the first set. When I finally got around to knocking on their door, I could hear the two of them laughing inside. I've never heard of any couple that really, truly enjoys each others' company every moment that they spend together. "Hey Lis!" Nat was still grinning as she tried to wiggle away from Bill and look like a dignified adult, rather than the love-sick teenager she felt like. "Come on in, I'll be ready in a minute." I walked in and made small talk with Bill while Nat changed out of her work clothes and put in her contacts--I had to remind her that she can't get her hair cut with her glasses on. Bill offered me a drink for the car ride and asked me what book I was currently reading. One of my favorite things about Bill is that he was just as voracious a reader as Nat and I. We're the kind of people that don't join book clubs because we haven't met one that doesn't spend more time talking about life in general than the books. He had just discovered a copy of a short pamphlet called Wear and Tear: Or, Hints for the Overworked, which waswritten in the 1870s by S. Weir Mitchell, the man famous for enforcing the "rest cure," which could do as much psychological harm as physical good. "I love things like this, artifacts from a different time. It's like reading about another culture entirely. I have to keep reminding myself that I'm reading about Philadelphia, and that the people he's talking to are like us. He talks about ways to improve your health through odd behaviors, like dressing better, but also what to eat and what not to eat, and personal hygiene tips. Wild." Nat walked out as he was talking, and began nodding excitedly. "It's so interesting. I mean, not a page-turner, of course, but I love having a glimpse at the way people used to live. I'm so nosy. Speaking of hygiene, I'm about to reenter the world of women who get their hair professionally styled. Next thing you know, I'll actually be doing my makeup every day for work." "Psh, you don't need makeup!" Bill chimed in. Nat rolled her eyes, smiling though, and said, "Aw, thanks babe. You don't need any either! Welp, we're on our way out. Get a good look at me now, cause the next time ya see me, I'll be a brand new woman!" This week, restart and refresh. Clean out some dusty closets and shake the skeletons into the daylight. Fresh starts are usually undertaken in an effort to find peace, happiness, some positive thing that has been eluding us. We sometimes think, Once this happens, everything will be perfect. Of course, perfection isn't attainable in real life. But when has that ever stopped someone from believing they can find it? 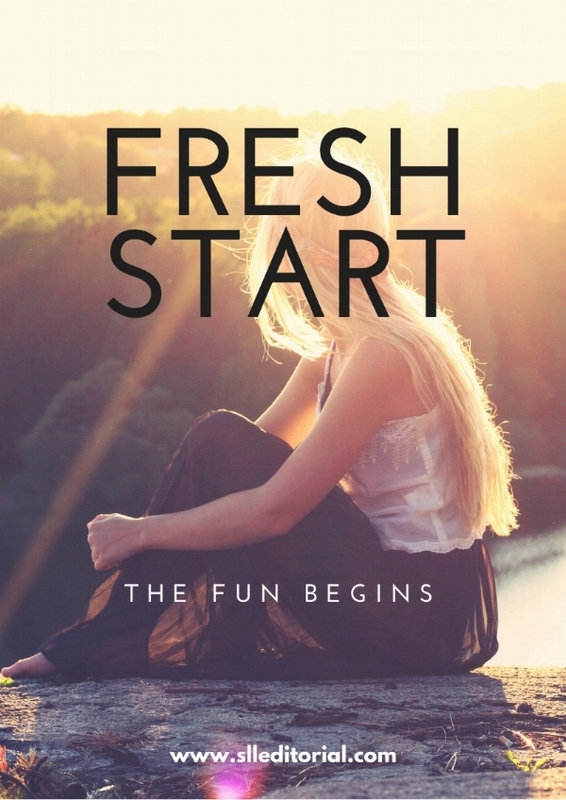 What happens when the fresh start doesn't live up to expectations? What would you do if your choice to make a hard left in life proves disappointing? 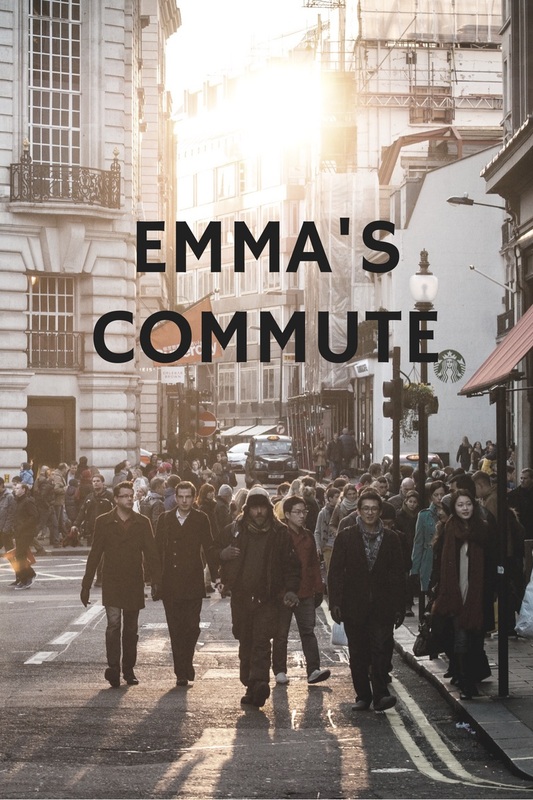 Emma walked out of the train station and joined the bustle of the sunny morning commuters. She unwound her headphones from around her iPhone and plugged in the earbuds. She walked across the plaza onto Chestnut Street and headed north, happily people-watching as she made her way to the office. Emma's new pumps bumped into her side with each long stride she made, but she had learned the hard way that even the staunchest fashionistas wear walking shoes into the office and then change into their heels. Her first week at work had landed her feet with so many blisters that she hadn't been able to wear heels at all for the next several days. The only thing that had prevented her from walking back to the train station barefoot was the fact that the sidewalks were visibly dirty: there was no pretending otherwise. This morning, the corner magazine stand was already open. Usually the vendor was just beginning to set up his station. She always wondered if the magazines were actually as dusty as they seemed to be, sitting behind his scratched and aged plastic curtain. For some reason, a few titles were only advertised with an old display copy, their pages wrinkled and torn from the long-time exposure to wind and rain, while the cover colors had faded to light shades of magenta, blue, and yellow under the beating sun. On this hot morning, the crisp, cold water bottles called out to passersby, tempting them to stop "just for a water," where they would be within the vendor's reach. Customers left with a magazine or two, and either a candy bar or energy bar, depending on the degree of their self-control. Emma kept walking, gazing up at the buildings around her and trying to look like she was born and raised in the city. She thought she'd gotten a confident walk down, but of course she didn't want to linger too long on her reflection in the Starbucks windows. She didn't want to look like a narcissistic millennial. She caught a glimpse of her expression in the next window she passed, an exceptionally dark-tinted store front, and was horrified to see that she looked unfriendly and self-absorbed. She had imagined her facial expression would show her to be confident and approachable. On today, of all days, she needed her appearance to be confident and classy. She decided to hop into the store for a few moments and see if they had a ladies' room she could borrow. This was not the morning to arrive at the office feeling even the smallest bit off balance. Emma ran into a stall, flipped her head upside down and tousled her hair, hoping to add a bit of the volume that had vanished over the course of the train ride and the first half of her walk. She splashed some cool water on her face, applied a fresh layer of lip gloss, and pulled out her sunglasses to get rid of the furrows in her forehead that her squinting had brought out. When Emma rejoined the bustling morning commuters, she felt refreshed and re-energized. A few minutes later, she was welcomed into the building by a blast of cool air. "Good morning," the doorman called to her as she made her way into the lobby. "Its a hot one out there! One-a those days I'm glad I'm not working on that new building down the way." Construction was still underway for the new skyscraper downtown. It would be the tallest building in the city, and rumor had it, the project manager might add a statue of William Penn to the rooftop, in hopes of reversing "William Penn's Curse." Emma nodded in agreement and joked, "What kind of day would make you want to do all that heavy work, Mike?" "The kind of day when I want to avoid my wife," he said as he leaned in over the front desk. "You know? Now I come home and say 'Baby I am tired!' and she says, 'Um hmm. Tired from making small talk and sitting on your rear all day?' Now, if I was coming home after that," he pointed down the street again. "Different story." "Oh, come on Mike, you know you love your wife." He nodded slowly. "That I do. God knows why that woman doesn't drive me crazy. You have a good day now, I'll see you at lunchtime." "Thanks! You have a good morning too." Emma continued through the lobby to the elevator. While she waited, she looked out the window into the office next door. She wasn't quite sure what exactly the company did, but they had an ever-changing display of items that had more recently received the Good Housekeeping seal of approval. Today there were several small kitchen gadgets and a new standing mixer laid out in the model kitchen, which was always set up to look as if the owner had walked out of the room in the middle of baking or cooking, leaving all their ingredients and tools wherever they lay. The elevator doors opened before her, and she stepped inside, ready for the day. Today was going to be different, she vowed. As the doors closed, she looked her reflection in the eye. She was going to confront Justin and she was going to stay confident doing so. Emma looked down. She wore all the confidence she needed in her tangerine pumps--statement makers for the day she'd make her stand. We all have somewhere to be. Increasingly, we're surrounded by others as we travel, mass transportation or otherwise. You pass by just as many people on your bike as you do in a bus. Long before Alfred Hitchcock and Paula Hawkins made people-watching terrifying, we did it. 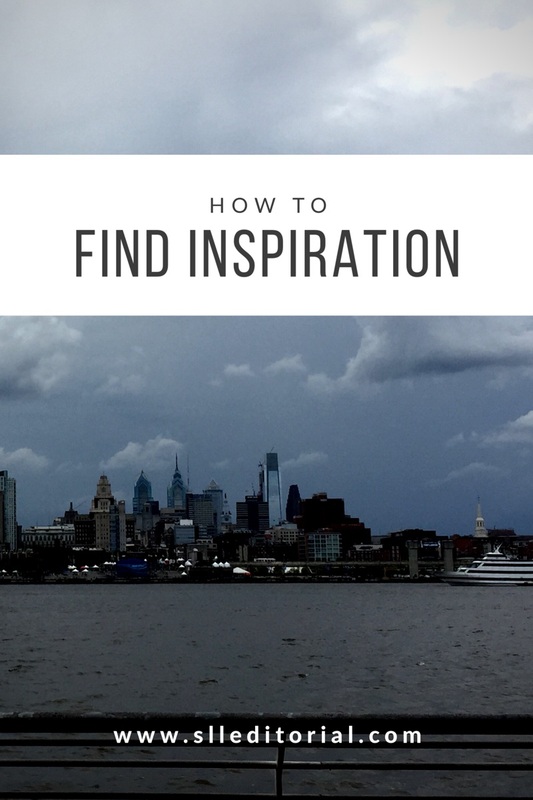 We've envied others' style, imagined details of their lives, caught inspiration for a new project, wished we were going where they were or pitied them for not going where we were. Why do we think we can learn so much from appearances? Few other situations provide this unique combination of motion and confinement. You're moving through space, but when the seat belt light is on, you had better be in your seat. It's what makes the long car ride the perfect opportunity to "let things happen." All this time alone with one's thoughts, yet trapped in the company of a set group of strangers is also what makes it possible for people to see terror in math equations. Where will your story take your characters this week?